The Disneyland Resort has implemented a new guest control policy that is designed to keep the sidewalks of Main Street clear during more of the day. Effective immediately, visitors can no longer reserve space on Main Street to watch parades or fireworks before cast members install the ropes that designate the boundaries of the viewing areas. This change follows a similar policy change made for the Fantasmic show, before Disneyland implemented Fastpass for that show (and before the show's hiatus due to the Star Wars Land construction). The new policy targets visitors who claim a space on the sidewalks of Main Street hours before the parade begins, sometimes using blankets or tarps to reserve space for large parties who do not wait with them. Disney now asks that visitors wait until the viewing areas are open to take a seat along the parade route, and not to save spots for other people. 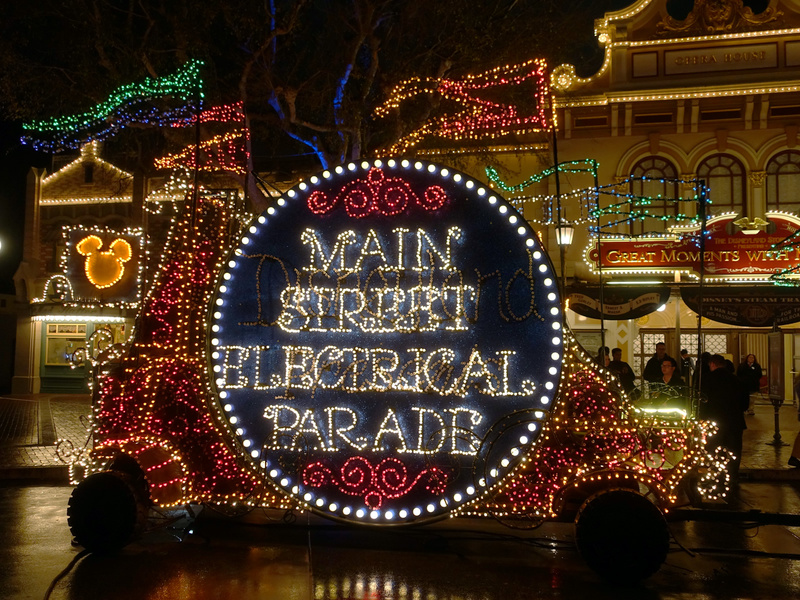 Disneyland's new parade policy will help reduce your wait for the Main Street Electrical Parade. MousePlanet file photo. A Disneyland spokesperson tells MousePlanet that this policy change is designed to allow park visitors to enjoy Main Street during the daytime, and reduce crowding on the street before parades. Visitors can still sit on the curb to enjoy a snack or take a short break, but if it becomes clear that they are waiting for a parade, they will be asked to come back with the viewing areas open. Depending on the day and location along the parade route, viewing areas open anywhere from 35 to 90 minutes before the first parade of the evening. We are not certain how the park will manage the viewing areas once Mickey's Soundsational Parade returns on Saturday, March 25. 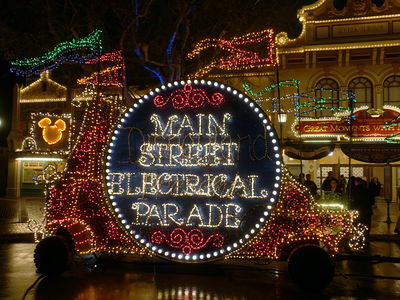 The entertainment schedule shows that parade will run at 4:30 p.m., with the first Main Street Electrical Parade stepping off at 8:30 p.m. We suspect Disney will remove the viewing area set up after the Soundsational Parade ends (around 5:15 p.m.), and then reset the areas around 7 for the Electrical Parade. The good news for most guests is that they may enjoy a much shorter wait for the nighttime parade and fireworks, but the downside is a potential crush on Main Street when the viewing areas open. I say good! I went yesterday and both sides of the street were already well full down Main Street by 4:30pm for Electrical Parade viewing. It does make it harder to travel through the area.